Re-Ignite | Helping you live your purpose. Click here to explore purposeful online education for enquiring Boomers! Every life has a purpose. Re-Ignite is committed to helping men and women entering their second half of life find meaning and purpose. Our online courses, retreats, seminars, and related materials help individuals discover who God designed you to be and will help you realize your dreams in the next season of life. What are you living FOR? Do you have a vision for this season of life? Profoundly important. This book will change your life. 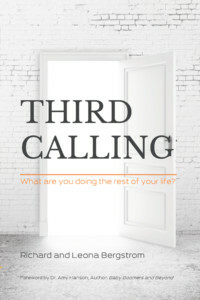 Fresh, inspiring, and practical, Third Calling is destined to be a classic in the literature of purposeful living.